Beirut is one of the most expensive cities in the world; whenever I visit, I make it one of my duties to meet with Syrian refugees, especially families who left Aleppo. It is not easy meeting them when I know they’ve had to leave behind a decent life where they had jobs, owned their own apartments, and were serving in the church and their communities. Now, most of them say things like, “Pastor, look at us. See where we are now and how we lived before. Will we ever live again in golden days?” Many have shared sentiments such as “the best solution is to leave the region. Leave and forget these countries; leave the Middle East and live a decent life in Europe.” They feel they have had enough suffering. During my time with the refugees in Beirut, I heard stories of how poorly they’re being treated. Unfortunately many Lebanese view Syrians as second-class citizens and have not welcomed them. The refugees I met rent small one- or two-bedroom apartments, for which they pay almost double the rent paid by locals. They’re being taken advantage of. Syrians who’ve been fortunate enough to find work often work long hours for little pay. I’ve heard that even some Lebanese Christians seem to be encouraging this injustice. I met a young university accountancy graduate. He told me: “For days and days I searched for work. Most employers said they had nothing for me, but I kept on searching and finally found a job in a shop selling metal. One day I was ill and had to stay at home in bed. When I called my boss to say I could not come, he just said that I should try to find another job.” He’s now depressed because of the humiliation. Plus he worked a 10-hour day for half a normal Lebanese salary. 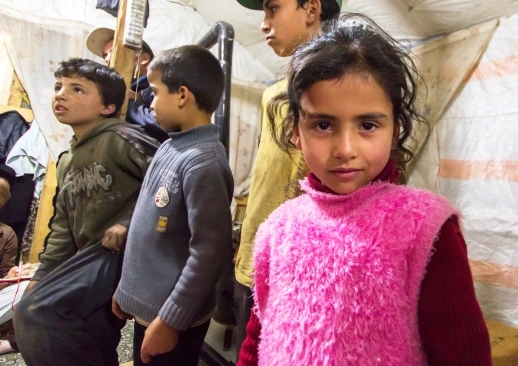 More than a million Syrians live in Lebanon as refugees; some are there for almost four years. Integration is a big problem, according to several I spoke to, even though they share the same language and there are historical and family ties. Some Lebanese accuse Syrians of many things: “Your Syrian government ruled our country for more than 25 years, now it’s your turn to feel what that’s like. “We in Lebanon were jobless. Now, you have come here and are taking our jobs. You’re doing every kind of work for at least half the salary. The Lebanese government issued a law earlier this year that prevents Syrians entering Lebanon as refugees unless they have special status, are officially invited by a Lebanese organization, or by a Lebanese citizen prepared to pay their taxes. Syrians are no longer allowed to have an official job in Lebanon, which means they can’t hold a work permit. 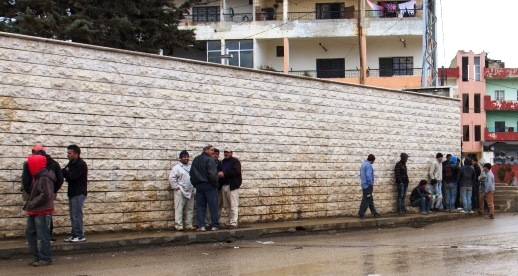 Syrians need to keep renewing their visa to stay in Lebanon, which means paying a lot of money. When they renew their rental contract every couple of months, they usually find their landlord has put the costs up. These challenges and complicated laws make Syrians want to leave the country, which many try to do legally by getting a visa. They are not easy to get, so many try to leave Lebanon illegally by paying human traffickers to reach Europe. According to the UN, the number of registered Syrian refugees in Lebanon has started to diminish from official figures of more than 1.1 million. Many Syrians face problems when they need medical care in Lebanon. Medicine and hospitalization are expensive. The government subsidises these costs for Lebanese citizens, but Syrians have to buy costly health insurance or pay cash. Many Syrians who fled the war lost almost everything and are unable to pay for health insurance. I met several people willing to risk travelling back into Syria, to places like Latakia, where medical treatment is cheaper than in Lebanon. The school system in Lebanon is different from Syria, not only because of the curriculum but also the language, and students need to work hard to fit in. However the biggest problem is fees. I met several families whose children were not going to school because they can’t pay the fees or even buy books. Many children now work to help bring their family an income. “What can we do?” a mother asked me. “The first year some organisations helped us, but now, in our fourth year, people are tired of helping us. It is better for my children to find a job and start work at an early age.” I worry about these children – what will happen to them after missing several years of education? What will happen to them in the future? When I met refugees in Lebanon some years ago, most of them said that they were expecting the war to end within a couple of weeks or months, and that they would be able to return to their homes and jobs. But the war has continued for four and a half years now, and there’s still no end in sight. 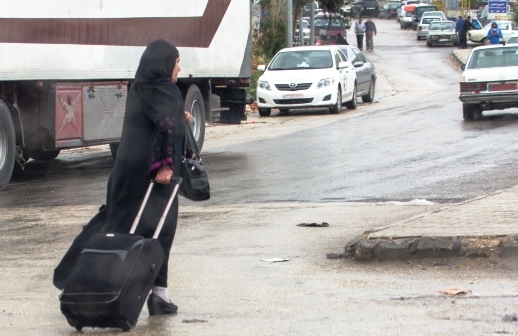 Because of the challenges they face in Lebanon, most of them are now doing their best to find a way to leave the country with no plans to return. Families wait for some kind of miracle from Western embassies that will get them into Europe. Because Christian families will not live in refugee camps, their chances of getting to Europe with the help of the UN are very small, and their only option is to use smugglers. *Not his real name; changed for his protection.